Get Your Copy of This Special e-Book Free! 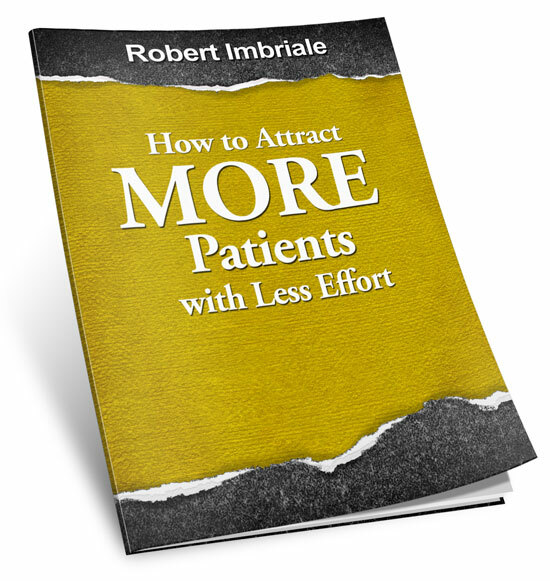 If getting more patients, keeping existing patients, and re-activating former patients is what you'd like to do, this e-Book will show you the most effective strategies for achieving these goals! The e-Book is FREE, get your copy now. Just enter your information below to get a link to download the e-Book immediately. Enter your information below to download this e-Book immediately.